The MI Rush Hamburg 96 boys U18 team captured the Michigan State Premier Soccer Program Premier Division 1 title this spring. 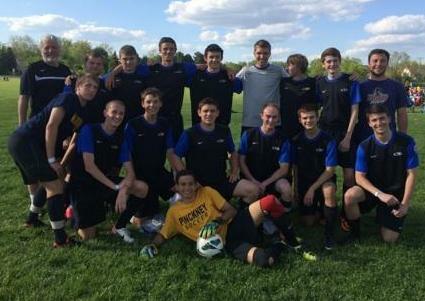 Coached by Dr. Jim Clark, the team faced some fierce competition and ended up with an outstanding record of 8-1-1. Dr. Clark praised the team’s resiliency and ability to play with a focus on possession, creativity and defense. Most of the players have been together on the team since they were very young and had set a high standard of teamwork. Dr. Clark has been their coach the entire time and said it was an honor to watch these players develop into the fine young men they are today. Congratulations to Coach Clark, the team and their families on the win. What a nice way to say goodbye. Congratulations to the U11 MI Rush Hamburg 03 girls on their championship win in the U11 Red girls division of the Canton Cup 2014 over the Memorial weekend. They went undefeated and won a very competitive final game against Waza North 03 Royal 4-3. MI Rush Hamburg HSO boys win 2014 Bowling Green Tournament! 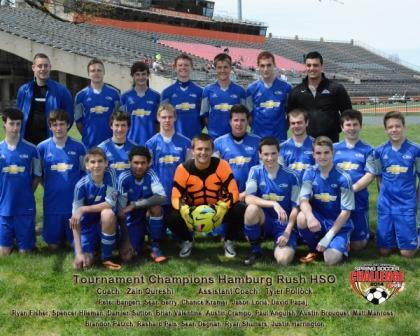 Hamburg Rush's HSO boys team earned the title of Tournament Champions at the Bowling Green Soccer Challenge May 2-4, 2014. Their win over the above teams provided them the opportunity to advance into the finals to face the Toledo Football Academy team. A well played game, at the Bowling Green University's Perry Stadium, resulted in the championship win for the MI Rush Hamburg HSO team with a final score of 1-0. The entire team played extremely well all weekend against tough competition. It was a great team experience for the Rush boys and their familes. 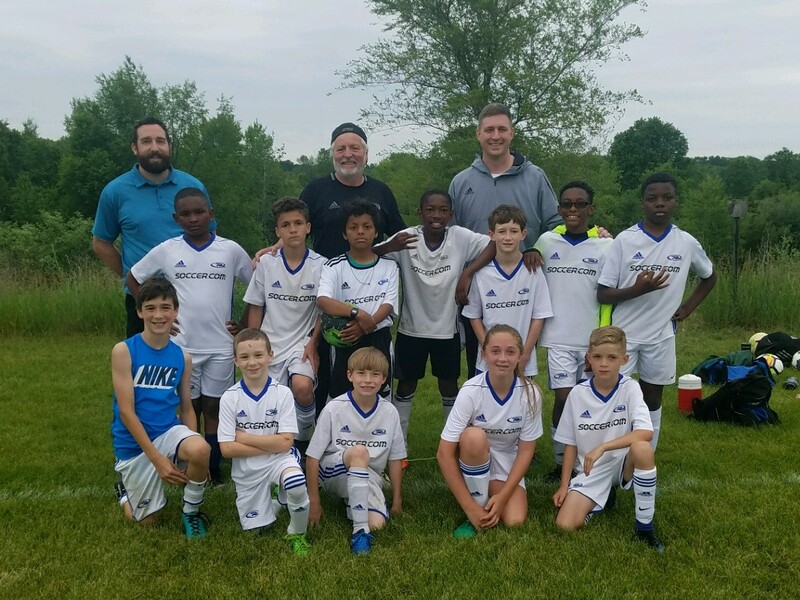 U10 Hamburg Rush wins WSSL division, undefeated! And will be moving up to division 2, requesting division 1 in the fall. 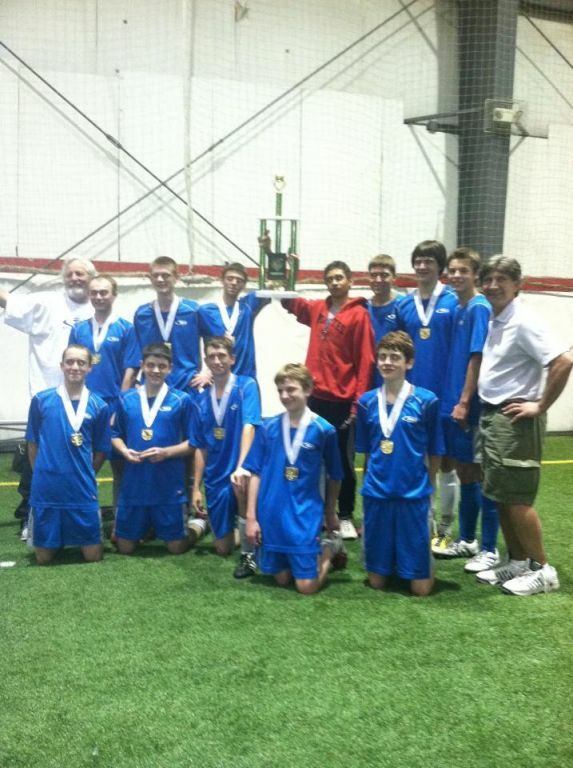 Congrats to our U17 boys again for placing 1st in the indoor Fall 2012 league in Wixom!! Our U14 Hamburg Rush (Blue/Black Team) boys placed 1st in their futsal league. Our U14 Hamburg Rush (Grey Team) boys placed 2nd in their futsal league. Placing only 2nd to our U14 Blue/Black boys team. 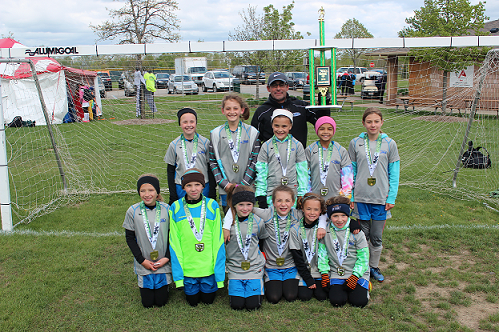 Hamburg Rush U10 girls won their fall WSSL division. Lots of hard work and dedication paid off. 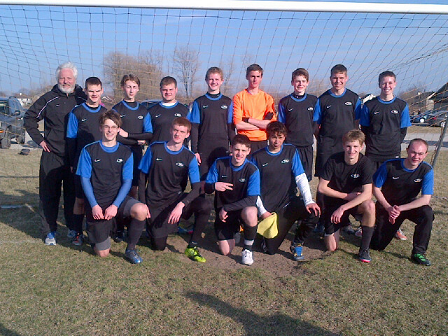 Congrats to the U17 Boys for winning the 2012 Mother's day Michigan Jaguar Tournament. This was the second year in the row for winning this tournament.....GREAT JOB!